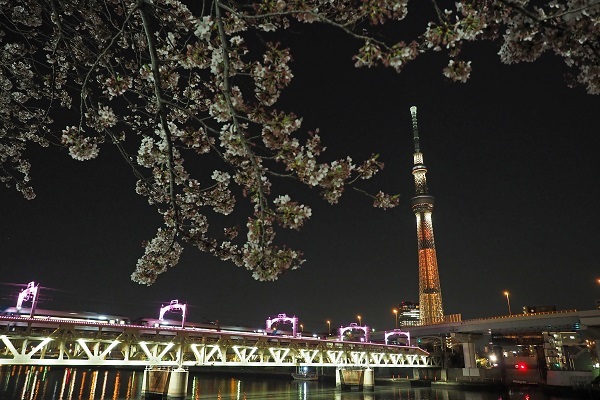 The bank of the Sumida River has been a favourite spot for o-hanami or cherry-blossom viewing since the Edo period. Sumida koen in Tokyo’s Taito City (Taito-ku) is on a narrow stretch of land on the west bank of the Sumida River, just a stone’s throw from the famous Senso-ji Temple in Asakusa. 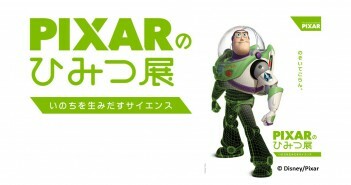 The park is known as the venue of Asakusa Yabusame (horseback archery) and the Sumida River Fireworks Festival. 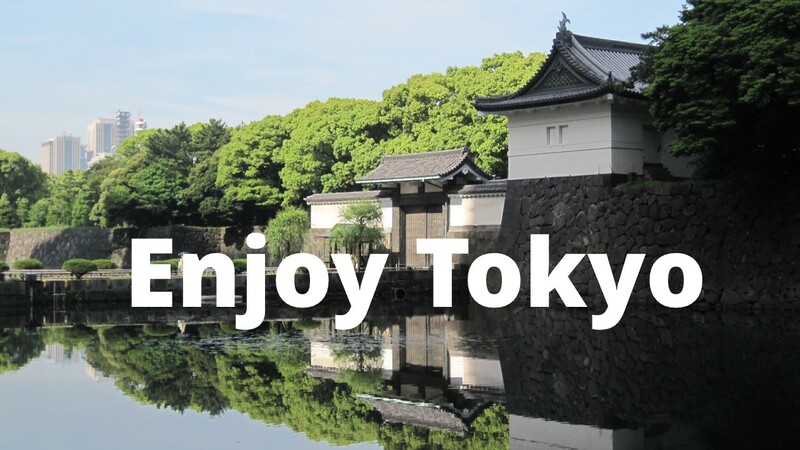 On the opposite bank across the Sumida River, there is another park, also called Sumida Park, which belongs to Sumida City (Sumida-ku). 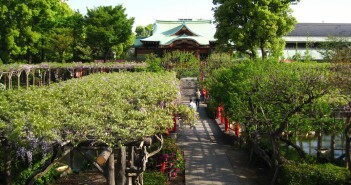 Sumida Park in Taito City has some 510 cherry trees of various species, such as the somei yoshino, double-flower varieties and weeping cherries. 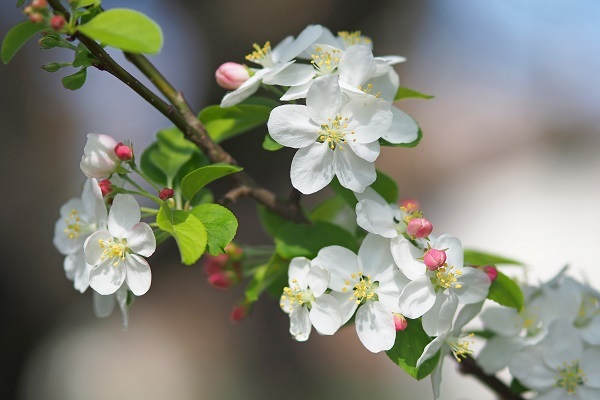 They burst into bloom in spring – the somei yoshino from the end of March, followed by other varieties, and double-flower cherries in April to complete. 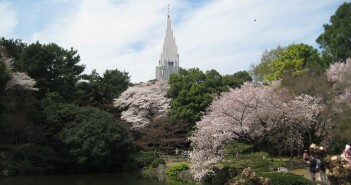 What makes this park popular today is a picturesque view of cherry blossoms and Tokyo Skytree put together in the sky. And they are both beautifully lit up in the evening. 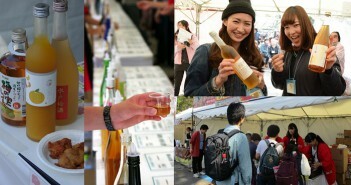 During the period from late March to early April, the park will host “Sumida Park Sakura Festival”, to add a joyful atmosphere. 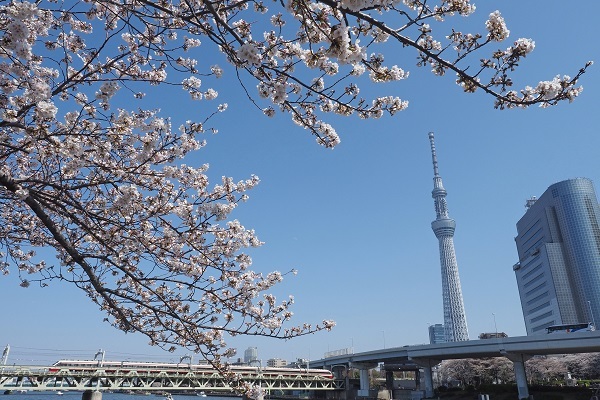 To continue your o-hanami walk, cross Azuma-bashi Bridge and you will hit right there the other Sumida Park, with some 125 cherry trees making a flower canopy along the river. 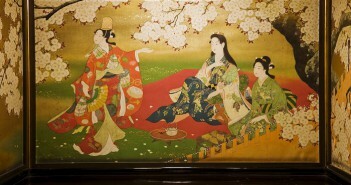 It is also great to take in the view of cherry blossoms on the both banks while taking a river cruise.